Axis Theatre Christmas Show – Now in its 14th Year! “The Lunar Landing” at Participant, Inc.
Helen Oliver Adelson, the Helen of Helen & Edgar, is a great artist who divides her time between Italy and New York. In this wonderful video shot by Robert O’Haire of Straw2gold Pictures, she describes an installation that took place in 2013 at PARTICIPANT INC. Thank you, Robert! Helen Oliver Adelson – Participant Inc.
Friends and Fans! Edgar will be doing a series of three readings on Thursday November 19, 2015 at Westchester Community College as part of the College’s Poets and Writers Reading Series. There will be three readings: 10:00 a.m. to 10:50 a.m.; 11:00 a.m. to 11:50 a.m., and 12:00 p.m. to 12:50 p.m. All three readings will offer the same material for the benefit of the classes attending the series. The event is free and open to the public. Please see the link provided for more details. 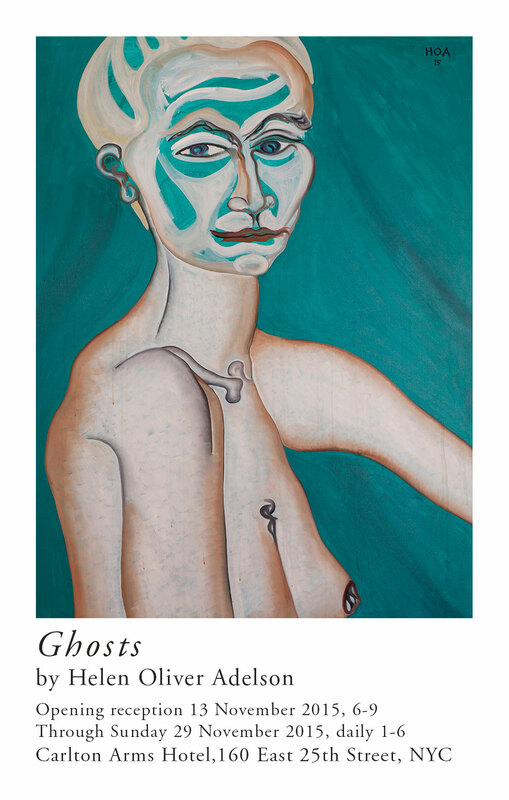 New York friends, friends of friends, and lovers of art everywhere, please visit the uniquely delightful Carlton Arms Hotel on the evening of Friday November 13 for the opening reception of Helen Oliver Adelson’s new show, titled Ghosts. The Carlton Arms Hotel is a genuine, old-school, New York City treasure. If you are unable to attend the opening, please know that the show runs until November 29, and may be viewed daily from 1-6 p.m. The location is 160 East 25th Street. Please click on the image below to enlarge it and view exhibit details. You are currently browsing the edgar oliver blog archives for November, 2015.